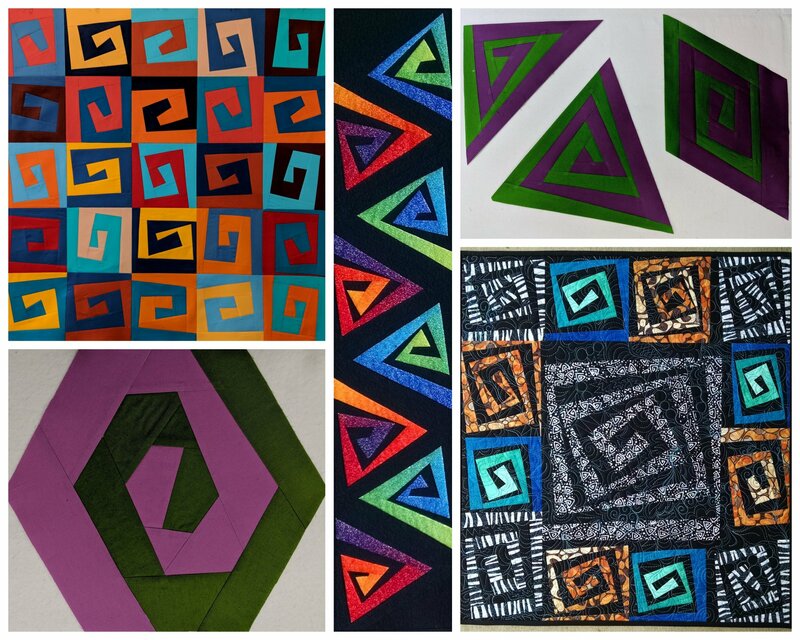 These improv-pieced spiral designs are sure to mesmerize and energize!! We’ll start with square spirangles and experiment with different design options and construction techniques. Then we’ll explore new spirangle designs: rectangles, triangles, hexagons, and diamonds…oh my!! Minimum enrollment = 3. Class may be cancelled (with 100% refund) if minimum enrollment is not met.